Are you getting married and you haven’t found yet a dress that goes with your personality? 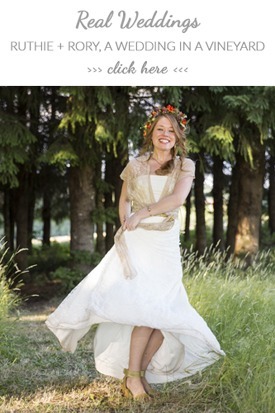 Do you want a relaxed bohemian wedding without pressure (or dresses that imprison you?). 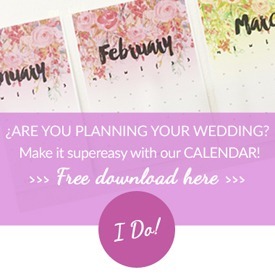 It’s not easy to find the dress that has everything, and if you are in a hurry and you don’t want to spend thousands of money on a dress that you will wear for a single day, it gets even more complicated. Don’t despair! 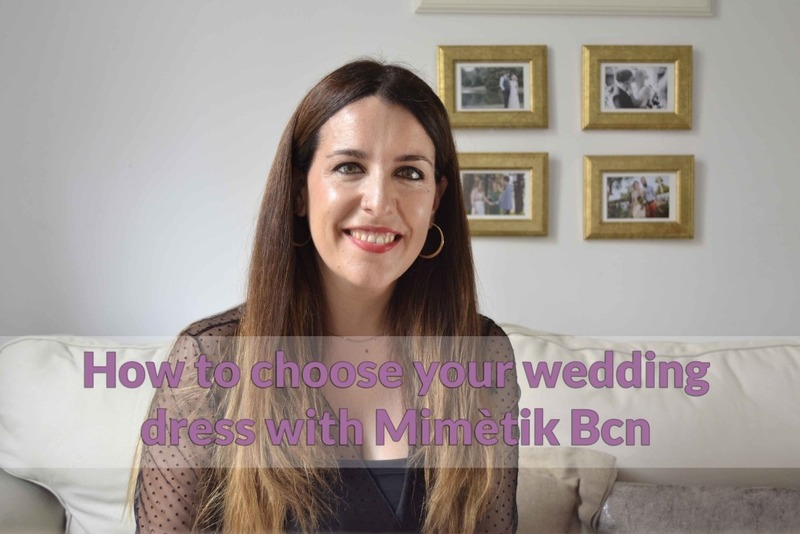 In this post, I will tell you how to have your ideal wedding dress, and within a week! 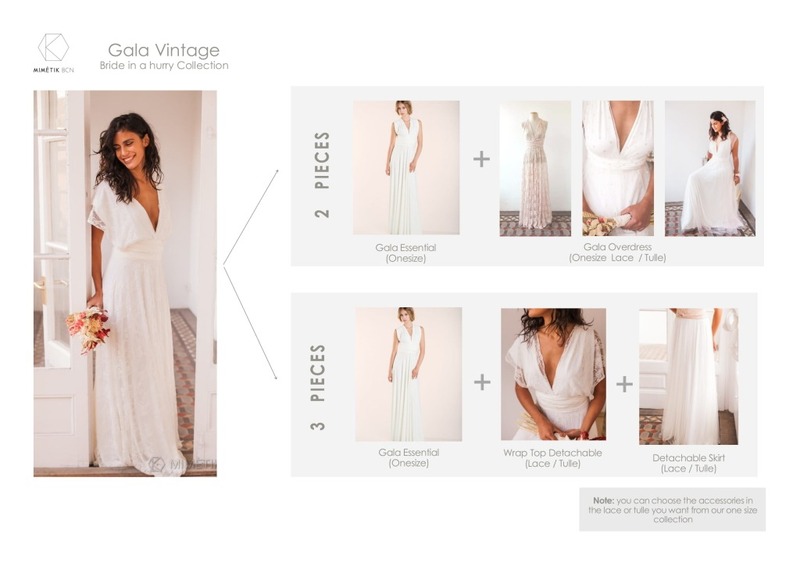 In addition, in this handbook you’ll find everything you need to know in order to make your bohemian wedding dress come true through our “separates” option, where you can create your dress by adding the different pieces and materials that you choose. 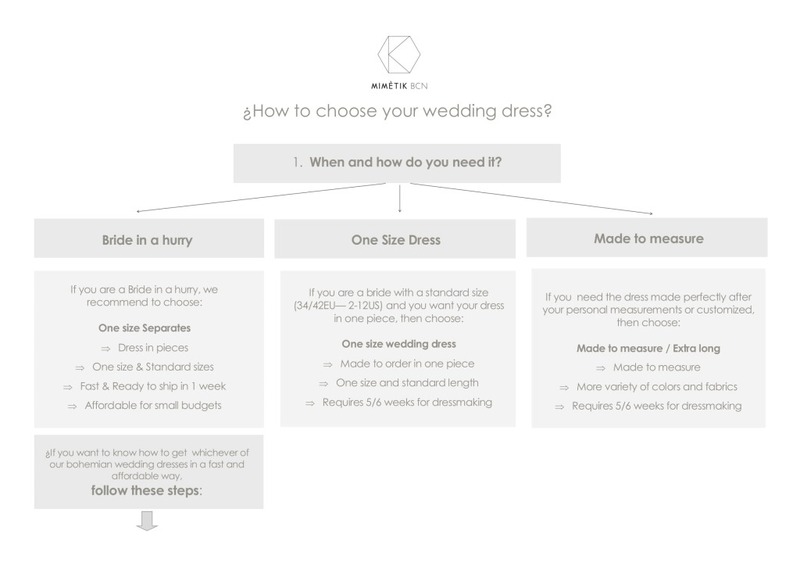 How and when do you need your wedding dress? 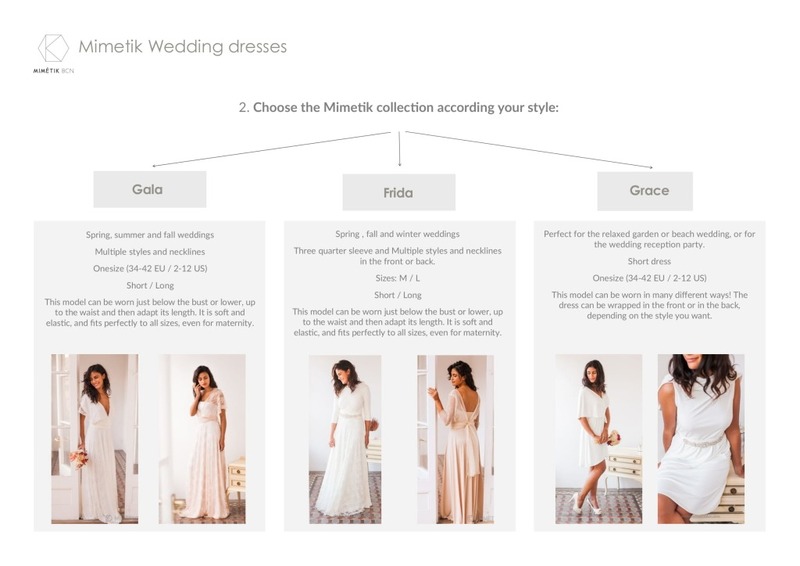 The first step on the path you will follow to get your ideal dress will depend on what type of bride you are: if you are a Last Minute bride in a hurry (or on a tight budget), or a one size girl who has more time and prefers a ready-made dress, or if you want your wedding dress fully customized. 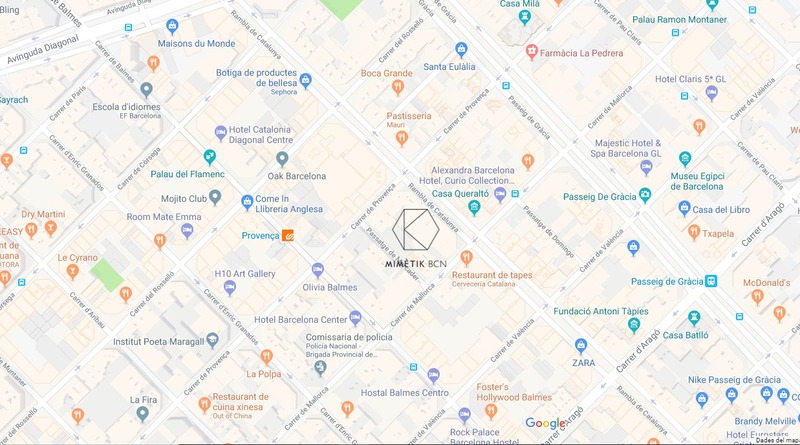 Which Mimètik Bcn collection do you like the most? If you liked the Frida more and you would like to get Frida Bohemian in ivory lace and tulle from the following photo, it’s also very simple, I explain it to you. 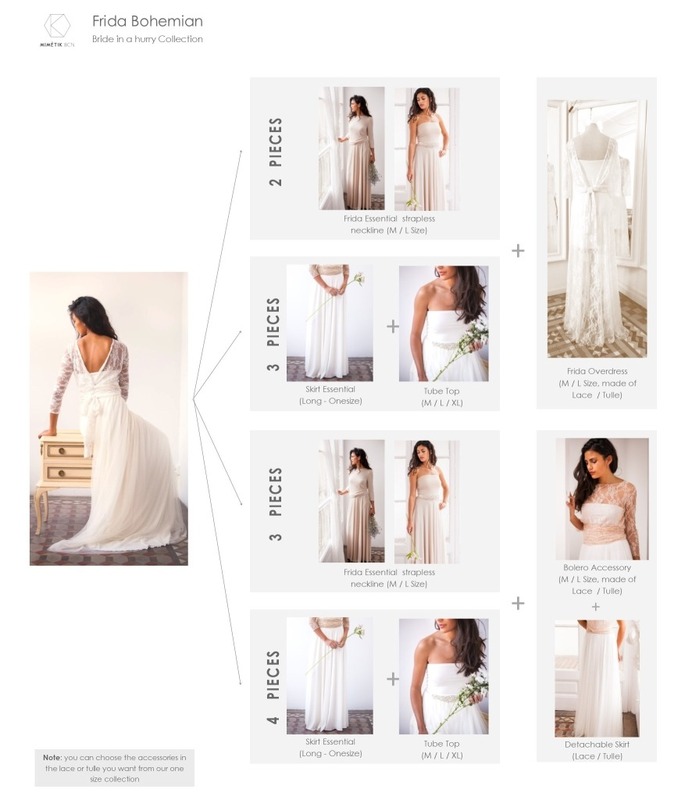 In this post I’ve focused on the Last Minute Brides to facilitate their choice, but if you are a bride with time or would like to have your dress more personalized, you will also find very useful info about our models in the manual. Also, remember that I explain everything in a more personal way in the video. 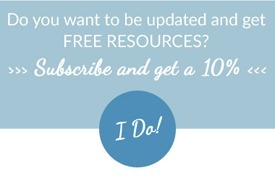 This entry was posted in Blog, Inspiration, Tips for brides and tagged bohemian bride, bohemian wedding, choose your wedding dress, rustic wedding, wedding dress.